Somewhere along the line, Happy Days actress Erin Moran became Troubled Erin Moran, yet another casualty of the Hollywood child star machine, whose death in an Indiana trailer park at the age of 56 would be shocking if it weren’t so cripplingly inevitable. 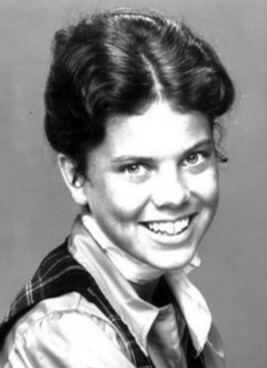 Erin Moran literally grew up in front of our eyes on Happy Days. The Burbank, California native was just 14 when she assumed the role of Joanie Cunningham, kid sister of Milwaukee high school student Richie Cunningham (Ron Howard). The popular series ran from 1974 to 1984 and it catapulted Erin to stardom. In 1982, Erin continued her role as Joanie in the short-lived spinoff Joanie Love Chachi. opposite co-star, Scot Baio. Baio portrayed Joanie's love interest, Chachi Arcola. and the series followed the adventures of the duo as they pursued music careers in Chicago. Scott was a teen idol back then and the Joanie and Chiachi characters were so popular that CBS was eager to feature the pair in their own spinoff. Erin , however, was not enthusiastic about starring in Joanie Loves Chachi. In a 2009 interview with Xfinity, she remarked that she "liked working with the people, but I didn't even want to do it. I was talked into it. I wanted to stay on Happy Days. They were running them at the same time." Unfortunately, the show was not well-received by viewers and it was cancelled after only one 17-episode season. Following the canellation of Joanie Loves Chachi in 1983, Erin and Scott returned to Happy Days for its final season. After the series went off the air, Erin had difficulty finding acting roles. She was just 22 years old when the show ended, but was never again cast in a leading television role. She was left with minor guest appearances on various series such as Hotel (1983), Glitter (1984), The Love Boat (1983, 1985), Murder, She Wrote (1986) and Diagnosis Murder (1998). In the mid-1980s, Erin left Hollywood and moved to a home in the California mountains. In 1988, she told The Toronto Star that she had suffered from depression after the two series had ended and she was faced with a lack of acting offers. She said she wanted some time to reassess her life and her career. Moran also told Sitcoms Online that she had been the victim of "mental and physical abuse" in her childhood, although she claimed that the entertainment industry had, for the most part, treated her well. In 1987, Erin Moran married singer Rocky Ferguson. Not much is publicly known about Ferguson, although it appears that he and Erin had a troubled union. In a 2007 interview with People, Erin described how her first husband struggled with her fame. 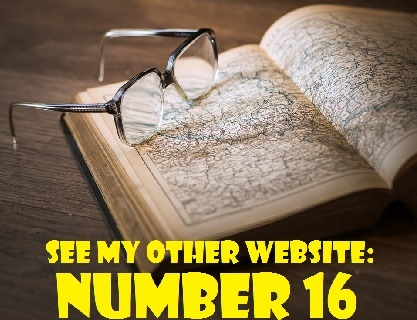 "He wanted me to lie in who I was and if anyone recognized me to say no, I wasn't. And that's the pressure he put on me." Erin and Rocky Ferguson divorced in 1993 and Erin wed Steven Fleischmann on November 23rd of that same year. In April of 2011, Erin and four other members of the Happy Days ca st filed a multi-million breach of contract suit in Los Angeles Superior Court against the CBS network. 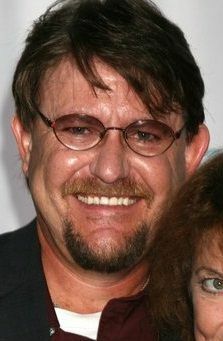 The other plaintiffs were Anson Williams (Potsie Weber), Don Most (Ralph Malph), Marion Ross (Marion Cunningham) and the estate of Tom Bosley (Howard Cunningham), who passed away in October 2010. They claimed that CBS had failed to pay them for merchandising profits under the contract. In July of 2012, the Happy Days actors settled their lawsuit with CBS. They received $65,000 per person and future royalties. In recent years, Erin struggled with hard times and financial difficulties. In 2010, she and Steve lost their home to foreclosure. ABC News reported that a representative for Erin had confirmed that the two had moved into a trailer park to care for Steve's ill mother, Donna Woods. According to the Telegraph article by Adam White, Fleischmann was working a day job at Walmart while Erin cared for her ailing mother-in-law. In September of 2012, however, the Huffington Post reported that Erin and her husband were ousted from the trailer due to excessive partying. Erin was later seen living in a Holiday Inn Express in Corydon, Indiana, about 130 miles (209.2 kilometres) south of Indianapolis. Photos of her in the parking lot of the hotel were shared on the Internet. A tabloid described her in the this very unflattering fashion: "Moran, who has not aged well, is seen walking in a grey T-shirt and plaid shorts, a cigarette hanging out of her mouth." 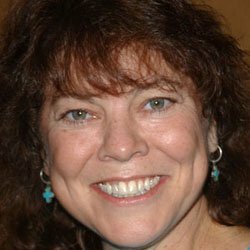 Sadly, Erin Moran died recently at the age of 56. On April 22, 2017, police in Harrison County, Indiana responded to a 911 call and found her unresponsive. She had passed away at her home at her home in New, Salisbury, a rural community in southern Indiana, about 8 miles (12.87 kilometres) north of Corydon and about twenty miles (32.18 kilometres) northwest of Louisville, Kentucky. She had been living in a trailer park in New Salisbury with her husband and mother-in-law. After Erin's death was reported, there was a flurry of speculation and rumours. It was commonly assumed that her death was drug-related and Mail Online reported that she had died of a suspected heroin overdose in her mother-in-law's trailer. However, on Monday, April 24, 2017, the coroner and sheriff of Harrison County, Indiana issued the following joint statement: "A subsequent autopsy revealed that Mrs.(sic) Moran likely succumbed to complications of stage 4 cancer. Standard toxicology tests were performed and the results are pending however no illegal narcotics were found at the residence." Although the statement did not identify the type of cancer, friends Paul Petersen of The Donna Reed Show and actor Steven Wishnoff, told the New York Post that Erin had been undergoing chemotherapy and radiation for cancer of the throat. The cancer was later identified as squamous cell carcinoma (skin cancer) of the throat. That same Monday, Erin's former co-star Scott Baio stirred up a hornet's when he suggested that longtime alcohol and drug abuse may have contributed to the actress's untimely passing. During a radio interview on the WABC's The Bernie & Sid Show, Baio stated that he was "not completely shocked" by Erin's death. "I'm okay, a little shocked that this happened. My thing is, I feel bad because her whole life, she was troubled, could never find what made her happy and content. For me, you do drugs or drink, you're gonna die. I'm sorry if that's cold, but god gave you a brain, gave you the will to live and thrive and you gotta take care of yourself." Baio admitted that he was not certain of the cause of Erin's death. He said, "I knew Erin well, over the last many years I have not spoken with her. She was just an insecure human being and fell into this world of drugs and alcohol. Again, I don't know if that's what killed her. I'm sure it was a culmination of years and years of doing it that might have had something to do with it. She just never found her way." Baio was roundly criticized for his insinuation that drugs had caused Erin's death He later apologized on Facebook, explaining that when he did the radio interview, her actual cause of death had not been released yet. He also attempted to clarify himself further by telling TMZ that had he been unaware of Erin's cancer diagnosis, he would have "kept his mouth shut," especially since his wife, Rene, has battled cancer. He also pointed out that he was only asked about "Erin's troubled past due to drinking and drug abuse" on the morning of April 24th. On Tuesday, April 25, 2017, Erin's husband, Steve, released this poignant open letter, describing Erin's last days. The letter was posted on Scott Baio's Facebook page. Thunder Over Louisville to celebrate. She was feeling fine on our anniversary 11-23-2016. Maybe four or five days after we got back Erin woke up and had about a dime size blood stain on her pillowcase. She said I think i bit my tongue. A couple days go by and there’s a bigger spot of blood. We get like 4 days into December, there’s more blood. I get a flashlight and say let me look. So we went to an ENT who said they wanted to biopsy it. It came back squamous cell carcinoma. She started radiation and chemo. Five days a week radiation and chemo only on Thursdays. We did that the whole time. It got so bad so fast. By the middle of February, Erin could no longer speak or eat or drink. She had a feeding tube implant and i feed her 6 to 8 times a day. She was still happy, she was active, she texted people on her phone all day. On the 21st she was having trouble breathing. She woke up on the 22nd, she was not 100%. She needed Kleenex, so i went to the store and came back. She was there watching T.V in bed. I laid down next to her held her right hand in my left. I feel asleep woke up about a hour later still holding her hand and she was gone, she was just gone. Norton Cancer Institute never said how bad it was.. The coroner told me it was really really bad. It had spread to her spleen, she had alot of fluid in her lungs and part of her brain was infected. The coroner said even if she was in the hospital being pumped full of antibiotics she still would not of made it. He said it was the best that she was with me and went in her sleep. The apology didn't satisfy Erin's older brother, Tony Moran. He blasted Baio on Twitter and Facebook. Moran, 59, also told the British tabloid The Sun that "Erin was a tortured soul who never recovered after Happy Days. Hollywood chewed her up and spat her out." * In 2009, Erin appeared in an episode of the daytime drama The Bold and the Beautiful as Kelly DeMartin. * Erin Moran had a supporting role in the 2010 film Not Another B Movie. She played Mrs. Klien in this spoof of cinema's behind-the-scenes experiences. It was her last credited acting role. Erin's last television appearance was in a 2012 episode of Celebrity Ghost Stories. She recounted a story of being haunted by the ghost of her deceased mother in her California home. * In late October of 2016, Erin appeared at an autograph show in Windsor, Ontario, Canada. She answered questions from fans and spoke warmly of Scott Baio. She made it clear, though, that she didn't agree with Scott's support of Donald Trump. * Erin was said to have been working on a memoir about her struggles. It was reportedly titled Happy Days, Depressing Nights. EDITOR'S UPDATE (June 1, 2017) : The Harrison County Cornoner's final autopsy report, released on Tuesday, May 30, 2017, confirmed that Erin Moran died purely from the complications of advanced cancer - squamous cell carcinoma. According to the coroner's report, "no illegal narcotics were involved in her death." She was in Stage 4 of the disease.